The Carlyle Group said on Feb. 23 it raised $2.5 billion for its latest distressed and special-situations fund, Carlyle Strategic Partners IV. The fund is more than triple the size of the alternative asset manager's previous such offering, a $700 million fund that closed in 2011. "The current global economic and market environment is laying the groundwork for solid distressed control and turnaround investment opportunities," Ian Jackson, managing director and co-head of Carlyle Strategic Partners, said in a statement. 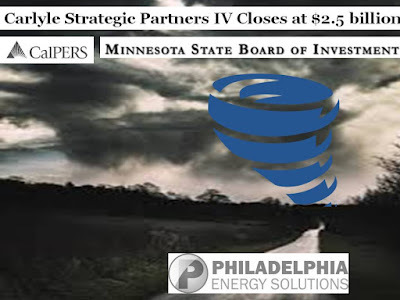 Carlyle knows because it has at least one distressed affiliate, Philadelphia Energy Solutions (PES). Moody's downgraded PES debt in November. Sponsor "debt for dividend" moves can be threatening to a company's financial health. Despite the downturn, Carlyle Group and its partner, Sunoco parent Energy Transfer Partners, have done well. The partnership banked hundreds of millions from the refinery in dividend-style payouts that were funded in part from a loan that continues to weigh on the company, Reuters reported last month. 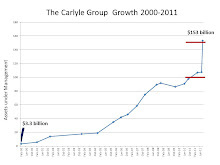 In total, between 2013 and 2015 payouts and tax advances to the partnership reached $480.9 million, all but guaranteeing Carlyle's venture would be profitable. Carlyle's PES has a $550 million term loan due April 2018. That's over a year away. I wonder if Carlyle Strategic Partners IV will buy discounted PES debt. Can Carlyle backdoor Carlyle (like it did to Brintons and Mrs. Fields)?